This award exhibition under the patronage of the Cultural Circle of the German Industry Association (BDI) is an annual review of contemporary practice in the visual arts in Germany. Z. B. Skulptur. 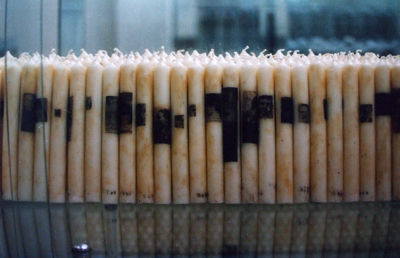 Ars Viva 93/94. presented Iris Haeussler, Leni Hoffmann, Eran Schaerf, Pia Stadtbäumer and Ute Weiss-Leder. 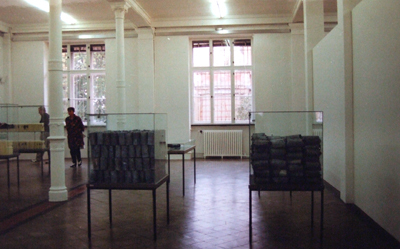 I exhibited work related to ou topos, Vienna (1989), ou topos, Munich (1990) and pro polis, Milano (1993). 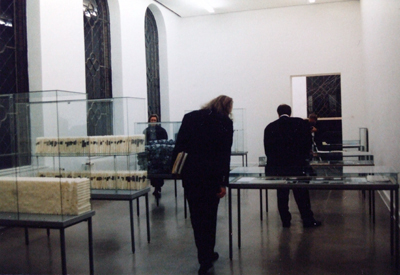 These were large, site specific installations that existed only for a limited time in a specific space and context. To present them in a museum space, I referenced the exhibition practice of the local museum of regional- or natural history. 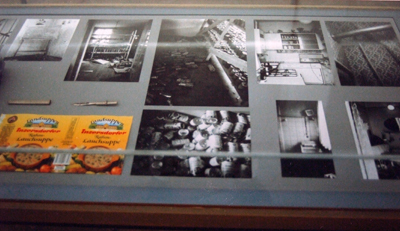 Artefacts, documents and other material evidence was condensed into showcases.